What is the best bed warmer? It is important that the device could be adjusted, allowing you to experiment and set the optimal temperature. Opt for energy-efficient models as they are going to operate throughout the night. The device should be safe and operate noiselessly. We believe that BedJet V2 Climate Comfort meets all these criteria. Why have we chosen this model? This is a best seller that will serve you throughout the year — warming in the winter and cooling in the summer. It has a sleep-inducing biorhythm temperature technology that enhances the quality of your sleep. A powerful fan removes sweat and moisture from your body, keeping you dry in a warm season. Winter is coming. It’s night and it’s time to go to bed, but eek! You just cringe at the thought of going to a cold bed, don’t you? Even if you’re tightly wrapped up in a blanket with your pajamas on, you are still cold to the bone? Do you think you’ll get away from it with a hot water bottle or a rubber warmer? Enough of that! It’s high time to use technology! 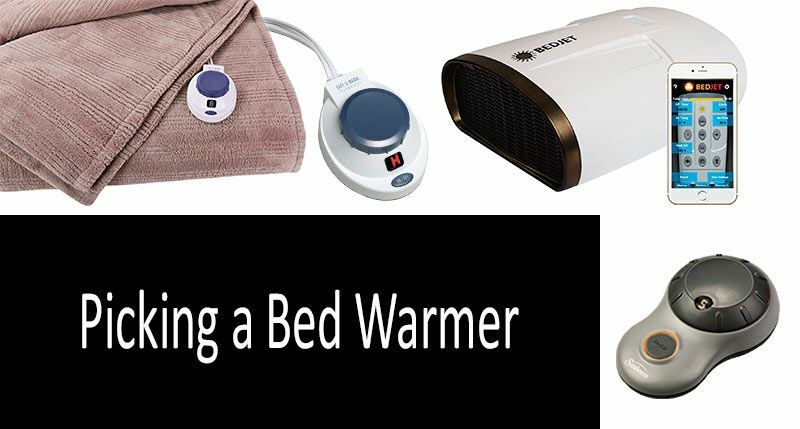 Here is a list of the best bed warmers for those who are always cold in bed. This is one of bestsellers in Electric Blankets category. This super soft micro-plush fabric will let you forget about the cold nights you spent with it. The gentle safe heating technology is used here as it eliminates any chance of getting burned asleep. And there are no thick wires! What can the Soft Heat do? It will protect you from icy cold and you won’t ever wake up in the middle of the night to find something warm. The heating level is even, the temperature is adjustable, and there is a timer, a backlit screen and overheating protection. Looks like you could have only dreamed about such comfortable sleep. The manufacturers recommend starting with the lowest temperature to figure out how much you have to heat your blanket. Spend some time on it before going to sleep and be sure to fall asleep knowing that you’ve finally created perfect sleeping environment. “It is extremely soft, smooth, and comfortable. I had the best night sleep EVER”, - the users claim. Is there anything else to add? Only that you can pick one of 20 options available! It is possible as 5 different colors and 4 sizes. Queen and King Size models have a dual controllers which allow setting the temperature separately for the two sides of the blanket. How convenient is that! This is an option for those how are up for anything that would help avoid sleeping in a cold bed. You won’t have to feel cold any longer the first few minutes in bed as all you’ll have to do is turn on the encasement heating and spend a couple of minutes doing your thing. After the Sunbeam has heated the bed to reach the required temperature, it will maintain it. You can change the temperature and total heating time whenever necessary as up to 20 options are available! There are 6 mattress pad sizes to choose from. The mattress pad itself is pleasant to touch, it doesn’t rustle and you won’t feel any wires underneath. It’s crucial as no one wants to be the princess from “The Princess and the Pea”! You can set 2 temperature modes for individualized comfort. You can obviously wash and clean it without being afraid to damage it. There is different feedback concerning this extremely useful bed accessory, as the sleep quality is a very delicate matter. Note that overall the customers rate this product highly: Read over 1700 customer reviews to decide for yourself whether it is worth buying. BedJet V2 is a gadget for those who require most productive sleep, who know that they can afford sound sleeping not only in the cold winter but also during stuffy summer when AC seems to be useless. This is one of the best selling items and most expensive device among Bed Warmers. BedJet uses air to warm or cool the bed. Moreover, you don’t have to consider the bed size any longer as this gadget will fit any bed. Whether you need gentle warmth or coolness, the device will adjust to meet any of your needs. It can even go as far as setting individual hourly (!) climate during your sleep. For instance, if you know it’ll be too hot and you will wake up at 4 a.m., set the temperature reduction and sleep soundly until you wake up. BedJet uses sleep inducing biorhythm temperature technology which ensures that you wake up vigorous and happy. Read all reviews to be sure of that. Note that the device has a cool state-of-the-art perk which permits you to control all of the settings of this fan-heater from your smart phone. And what do you think about aroma therapy? It truly enhances the pleasure of being it bed! We, the editing team, dream about having such a climate control system in our beds! Have you ever felt like your feet are the ones getting all the cold? If so, then Serta Warming Pad for Feet is for you! This thing fits perfectly at the end of the bed providing more soothing comfort and warmth for your cold feet, something that can prove to be indispensable on the cold winter nights. This foot warmer has 4 heat settings so you can customize the right heating temperature according to your needs. It also features auto-off function for your peace of mind. The warmer is made of 100% polyester that’s machine-washable and dryer-safe, so there’s nothing to worry about in terms of high maintenance. Consumers are super pleased with how this foot warmer delivered, praising everything from its heating properties to durability. Those, however, who were not just as pleased, often complained of the inconsistent quality that seemed to vary from product to product. All things being equal, this warmer is good value for money, as it’s priced affordably and has a 1-year warranty. This is another product from Sunbeam, that’s claimed by the manufacturer to have the therapeutic effects. It has 6 heat zones that allow you to fully customize your heating experience and a 10-hour auto-off function, in case you seldom forget to switch off your electric appliances. The consistent heating throughout the warmer helps ease neck and shoulder pain, warm up legs and feet, and just provide a good-night restful sleep. It features a dual-size controller with back-lit display and patented ThermoFine technology for consistent heat control. The product is not inexpensive, costing more than 100 dollars, but with the quality of heating it provides, it can be said that the product’s worth the money. It’s an absolute bestseller and a customers’ all-time favorite with testers mainly praising the full customization that this warmer allows to set up. Consumers were pretty impressed that the warmer had two sides and each side had further three separate zones (in case you like toasty toes and cooling pillows). So, if the price is not a concern, then go for it! In case you're looking for a bed warmer for your child, then this non-electric option can be the solution you’ve been looking for. Besides, if you want to sleep like a baby yourself, then there are other sizes available (twin, king) that can serve you just as well. This is a so-called “space” blanket, that needs to be placed between the mattress and the sheet and works by absorbing and reflecting body temperature and warming up a crib (or a bed for that matter) up to 10 degrees above room temperature. Sounds like a rocket science, right? In fact, it is not, this technology has been widely used since the late 1980s, so there’s nothing to worry about in terms of its safety. There’s also no need for electricity, which is yet another advantage. I wouldn’t want to leave my child in a crib with an electrical blanket on, and if I ever did, I would have suffered from extreme anxiety and insomnia, because electricity, no matter how advanced the technology, is a no joke. Unfortunately, though, the product has received a somewhat mixed feedback, with a lot of testers saying the baby was still cold. So while the technology is safe, it has not yet improved as much to recommend it solidly and without compunction. This is by far the most expensive and the coolest thing on our list. This is not a simple bed warmer, it’s a super functional waterbed! But don’t think of huge bulky waterbeds from the 1980s, think innovation and technology! This is a rather thin (compared to standard waterbeds) but comfortable bed warmer that safely heats up by circulating hot water through a soft mattress pad. You’ll get the precise temperature and runtime control that will allow you to fully customize the heating. Don’t worry about the noise, as the noise-canceling pump will ensure you have a silent good-night sleep. 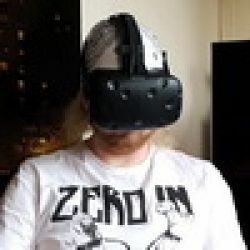 The consumers loved it, with only a few saying they could feel the tubes in the pad, which was obviously not a good thing, but apart from that little nuisance, the product seemed to deliver as advertised. If you and your baby are not the only ones getting cold in winter and your little pooch requires as much attention and warmth as your husband, then this pet warmer could be a great thing to buy! That’s also a great gift idea to anyone who owns a doggie because look at this thing! It looks super luxurious and plush, something you would want for yourself. Its self-warming material radiates heat back to the pet, ensuring he’s comfy enough just like the rest of the family. 20 dollars won’t do any difference in your family budget, besides, this is just a great thing to buy for your pet, don’t think twice, just go for it! If a lounge sofa seems too luxurious or won’t fit into your room’s decor, then consider this electric pet warmer that would maybe occupy a little less space but still serve your pooch beautifully. The manufacturer also claims therapeutic qualities for this thing, saying it would help a dog with arthritis, seniors, newborn pets. Awww, how cute is that? Imagine the little puppies enjoying the warmth of this heating pad, lounging around, and just enjoying coming into this world. This is a beautiful picture that you would want to bring to life with buying this pet warmer. Concerning the features, there are plenty: 7 layer protection structure to ensure the safety of your pet, time settings with auto-off functions, temperature sensor, among other cool stuff. Besides, this is by far a bestselling product for pets in winter time, with consumers saying that their “snuggly comfee furbabies” just loved it! They utilize an insulated wire (or heating element) that’s inserted into the fabric, and that heats up when the bed warmer is plugged in. The controlling unit manages the amount of current that enters the wires in your bed warmer. Most of the options we’ve covered have the adjustable settings for you to control directly the amount of heat you’d like to receive. Yes, they generally are. The best options come with an auto-off function so you don’t have to worry about falling asleep with the thing on, or leaving it on after you wake up. Besides, all the cancer claims that have recently surfaced, are not substantiated and are dismissed by the evidence-based medicine. However, if you’re diabetic, you’d better abstain from using heating bedding, because due to decreased sensitivity that seldom comes with diabetes, you might not be able to discern when hot is too hot and inadvertently burn yourself. How to wash a bed warmer? Always follow the instructions on the label, as some warmers can be machined washed and dried, while others cannot. So washing routine really depends on a particular model that you buy. Bed warmer vs electric blanket: what’s the catch & what’s the difference? An electric blanket is a portable bedding item that can be placed over your covers, or used as a warming support while watching TV. A bed warmer is placed underneath a sheet or used as a pleasant addition to a mattress pad. Besides warmers come in different shapes and sizes and can be used to heat up a particular body part, like feet, or chest, or waist, thus making it sometimes a more affordable option. Have you ever thought where the bed warmers came from? It’s a no-brainer to guess that they first appeared in cold countries, where people were just trying to survive cold harsh winter days with its ghastly winds and unbearable frost. And while winter might be a pleasant season now, in the comfort of our homes and under the warm roofs of our houses, it was not like that back in the day, where people had to come up with all sorts of stuff to keep themselves and their loved ones from freezing nights. First bed warmers consisted of a metal container that would be filled with preheated stones and placed under the bedding. With the advent of rubber, metal containers were changed for classical water bottles, which are still widely used, especially in the developing countries with no access to advanced modern technologies. The 20th century was notably proliferative in numerous inventions and rapid developments in technology. And bed warmers were not excluded from this “arms race”. The electrical blankets finally saw the light of day in the early 1900s but were not widely used up until 1921, when they started being prescribed in tuberculosis treatment. But the real automatic electrical blanket with a thermostat control was invented in 1936 and was used up until 1984 when the thermostat-free electrical blanket was introduced. That was the exact time when the electric blankets and bed warmers “oozed” into popular culture and became super popular in American households. The Brave Little Toaster, an animated story about the adventures of household appliances, included an electrical blanket named Blanky as one of the main characters in the story. The mere inclusion of a blanket spoke for itself, denoting the significance of the item for American families. And then bed warmers followed. The invention concerned flatbed warmers with a non-porous material (that could be inserted beneath the sheet of bed for heating it up) and an inlet that looked like an envelope and was inflated by a source of hot air. Slowly as the technology progresses, more and more features are added to the warmers and blankets, and as time and research advance, more solutions will become better and more affordable for the public. If you live in a region where there are cold winters - definitely recommend it! I believe that you need to use all the gadgets for your comfort. After all, how much more pleasant to lie down in a warm bed and not wake up at night from the cold.